Basic Decription: Good sails,working plus roller reefing genoa, 150 Genoa track new memory foam with new covers on interior beds ready to launch and sail away. Heavy Duty home made trailer with new 6 ply tires needs small outboard. retractable keele draws, 4ft keele down 1 ft keele up. 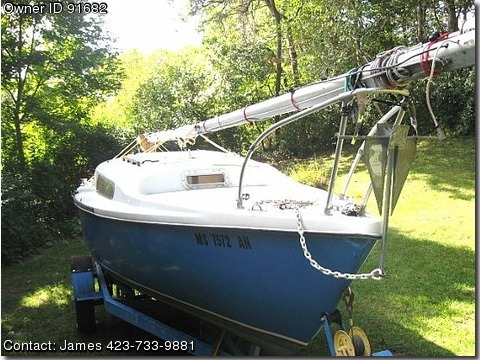 This boat is beachable, ramp launchable, trailer toungue is extendable for shallow boat ramps, many extras. Also available is an 8 hp Johnson long neck outboard motor, Motivated seller, price negotiable.